Together we can combat drugs in Custer County! 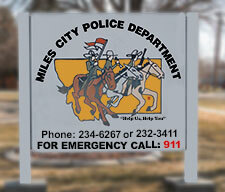 The Miles City Police Department is in the process of raising funds for a new K-9 program. The department has had several dogs since 1991 but these dogs were obtained from other agencies and were retired out sooner than expected. In an effort to combat the growing narcotic problems we are facing in our community, we are planning on purchasing another dog, strictly for tracking and drug detection. Our officers regularly seize vehicles as a result of traffic stops, which later become drug cases. The numbers have been steadily rising. We are seeing more illegal and dangerous drugs, and more subjects distributing those drugs, in our city over the past few years. We have had tremendous support from the community, since we started this fundraising project in January. 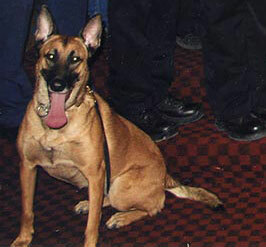 The cost of the 4 week narcotics detection K-9 course, with the dog, is $10,000.00. In addition to this cost, we need to raise funds for a new or newer/used SUV for the K-9 unit. To properly equip a police vehicle with a video system, radar, various lights, cage and other miscellaneous equipment, that cost is approximately $10,000, of which, the video system alone is over $5,000.00. A newer/used SUV that would be suitable for law enforcement work will run $20-25,000.00. Please help us continue reaching our goal for your community’s K-9 program. This will allow us to better serve your community, while helping to keep our children, our families and our homes and businesses safer. Last, but most certainly not least, it will help keep law enforcement officers out of harm’s way.